Baby photography with pink and lace ribbons. 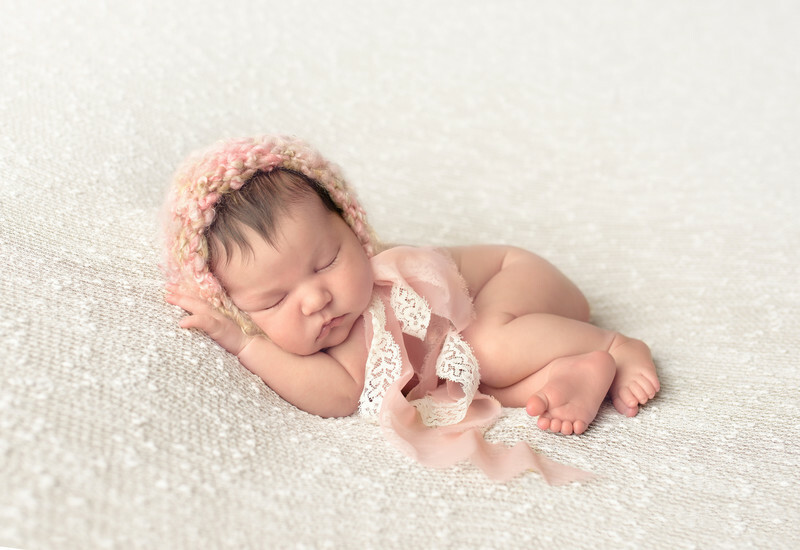 This Newborn is on a blanket with a pink work hat and lace. Newborns sleeping look like angels. So rested and peaceful. parents wanted their newborn photographed in the first two weeks of life when they are sleepy. They came to my studio at Connie Mintz Photography. There is nothing more beautiful than a brand new baby! Newborn photography is really challenging and the photographer needs to understand lighting, angles and how to handle the baby. It can take 30 minutes to get one pose! And a slight movement of the hand wakes the baby and you have to start all over. Describe the process used when creating the image. Keywords: baby (45), dog (21), girl (36), newborn (123), pink (18). 1/100; f/3.2; ISO 64; 35.0 mm.